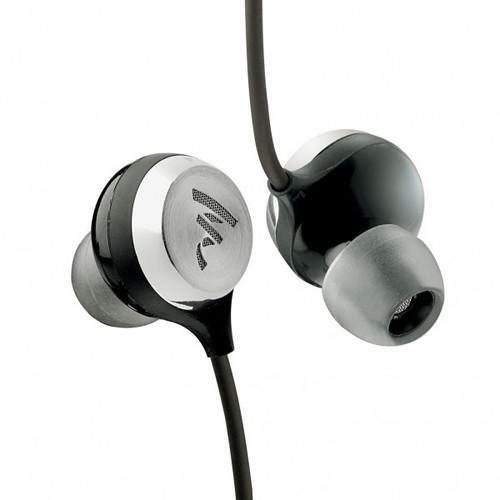 We recommend checking out our discussion threads on the Focal Sphear High-Resolution In-Ear Headphones SPHEAR, which address similar problems with connecting and setting up Earphones Focal. The user manual for the Focal Sphear High-Resolution In-Ear Headphones SPHEAR provides necessary instructions for the proper use of the product Mobile - Headphones - Earphones. Intended to reproduce music exactly as it's been performed, recorded, and mixed, the Sphear High-Resolution In-Ear Headphones from Focal are crafted to deliver an extended frequency response in the low end and an overall tonal balance: 10.8 mm electro-dynamic multi-channel transducers and Focal's Bass Reflex system help reproduce punchy lows, while Mylar drivers and a ported built-in acoustic chamber help ensure neutrality in the mid and upper ranges. These headphones can get quite loud as well, delivering a sound pressure level of up to 103 dB. However, tone and volume aren't the only considerations; comfort has been taken into account as well: The earbuds themselves are encircled by a stainless-steel ring and grille that, in addition to the extended housing of the back frame, pivots the weight of the unit toward the inferior auricle of the ear, rather than the twistier parts of the exposed canal. These features, in conjunction with adaptable memory-foam tips, are designed to provide a comfortable listening experience—even for hours at a time. These headphones also come standard with a multi-functional remote (enabling control over Android, Apple, and Windows smartphones, tablets, and other devices), and an on-board omnidirectional microphone that helps provide clarion tone for phone calls and smartphone commands. Included with the unit are a carrying case and an aircraft adapter to ensure in-flight enjoyment. If you own a Focal earphones and have a user manual in electronic form, you can upload it to this website using the link on the right side of the screen. Box Dimensions (LxWxH) 7.2 x 3.1 x 2.4"
The user manual for the Focal Sphear High-Resolution In-Ear Headphones SPHEAR can be downloaded in .pdf format if it did not come with your new earphones, although the seller is required to supply one. It is also quite common that customers throw out the user manual with the box, or put the CD away somewhere and then can’t find it. That’s why we and other Focal users keep a unique electronic library for Focal earphoness, where you can use our link to download the user manual for the Focal Sphear High-Resolution In-Ear Headphones SPHEAR. The user manual lists all of the functions of the Focal Sphear High-Resolution In-Ear Headphones SPHEAR, all the basic and advanced features and tells you how to use the earphones. The manual also provides troubleshooting for common problems. Even greater detail is provided by the service manual, which is not typically shipped with the product, but which can often be downloaded from Focal service. If you want to help expand our database, you can upload a link to this website to download a user manual or service manual, ideally in .pdf format. These pages are created by you – users of the Focal Sphear High-Resolution In-Ear Headphones SPHEAR. User manuals are also available on the Focal website under Mobile - Headphones - Earphones.